Hi guys, welcome to my space! I have another product review for you. This time, I’ll be putting two products from Revlon’s Colorstay collection to the test: the Revlon Colorstay Brow Pencil and the Revlon Colorstay Brow Mousse. Honestly, I have to say that this brow pencil is one of the best I have come across in recent years. I love that it comes with an angled tip. This made filling in my brows so much easier. The pencil bares similarities to the Anastasia Beverly Hills Brow Definer. Another thing that I love about the pencil is that its buildable. When you are doing your brows, always apply any product with light, soft strokes and then increase application when you are happy with the shape you have created. It was so easy to add more product and the spoolie really spread the product evenly. Some spoolies that come with brow pencils/products aren’t all that great. 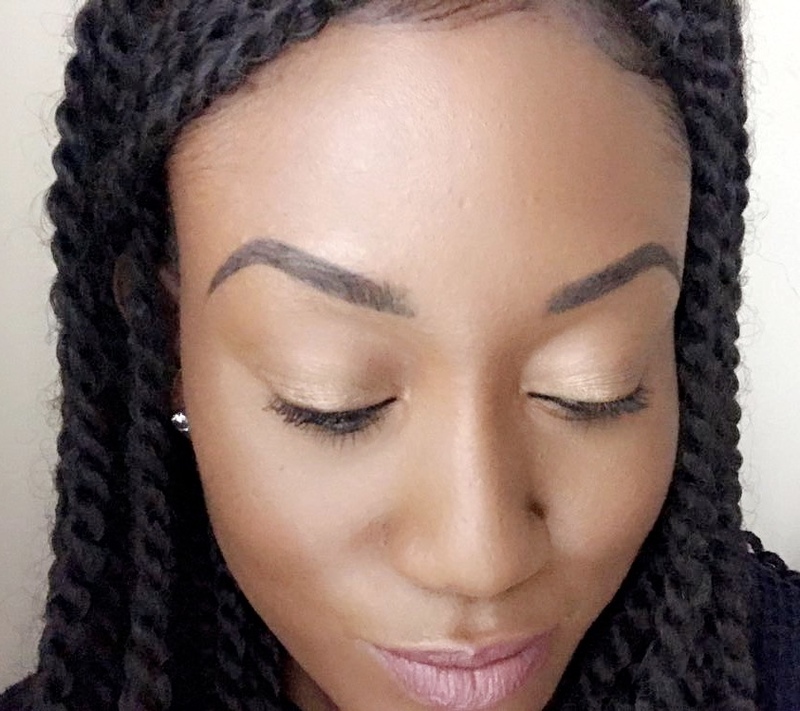 Lastly, this product left my brows looking very sculpted and natural at the same time. Cleaning my brows up with concealer was so much easier too and again, that’s thanks to the angled tip. I would definitely recommend this product to you guys, especially if you have shapeless/sparse brows and you are looking for a brow product that is going to stay put throughout the day. Also, at £6.99, you are getting your money’s worth. In order to make it last as long as possible, I would say try to avoid pushing too much of the pencil upwards because there is a risk of the pencil breaking, so just use the bit that you need. The Revlon Colorstay Brow Pencil is available to purchase from Superdrug and is priced at £6.99. Now I’m going to talk a little bit about the Revlon Colorstay Brow Mousse. I was sent two shades: Dark Brown and Soft Black. I tend to stay away from black pencils and pomades when it comes to my brows because if I take a picture, my brows will look pretty dark so I can’t imagine what they would look like if I used black brow products. I really liked the mousse. It was perfect for setting my brows and gave them a bit more colour. I liked that you have to twist the top of the pencil in order to get the product out so again, I’d advise that you twist just enough to get the product that you need. As you can see from the pictures, my brows are a lot fuller, sculpted and defined. I will definitely continue to use both products together on a daily basis (sorry, ABH! I’m moving on for a while) and on make up free days or when I’m going to the gym, I’ll apply the brow mousse because my brows are quite sparse. From afar, you wouldn’t think I had any and also my right brow grows a lot faster than my left so I’m having to constantly apply castor oil to them before I go to bed. Price wise, £7.99 is a good price to pay for a product that is long lasting. If you have fuller brows, you can apply this product by itself for a bit more definition. Pros – angled tip (which speeds up brow application), good value for money, easy to apply, perfect for sparse and shapeless brows. Cons – possibility for pencil breaking if it is twisted upwards too much. Pros – gives brows a fuller more defined look, good value for money, also makes the brows look natural. Cons – it’s only available in four shades. The Revlon Colorstay Brow Mousse is available to purchase from Superdrug and is priced at £7.99. Tell your friends about Kelle’s space.